Overview of Contents - 2013. 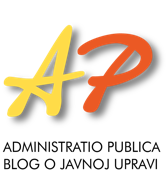 Public Administration Education in the Twelve Post-Socialist Countries and Croatia: Is There a Convergence? Two Years of Croatian and Comparative Public Administration-Statistic Data for 2011 and 2012. IInstitute of Public Administration is a citizens' association founded in 1997 with the purpose of promotion and improvement of public administration in Croatia as well as for creating prerequisites for development of modern administration coherent to european standards and for contribution to development of economy and other parts of community life. In course of performing its activities, Institute is dedicated to enhance the effectiveness of public administration and to pursue more consistency in operationalizing the rule of law. It also promotes scientific and professional training of employees in central state administration, units of local and regional self-government, public institutions and other legal persons with public authorities and it generally tends to bring effect to the improvement of administrative profession and science. Novi broj časopisa "Hrvatska i komparativna javna uprava"
Nova knjiga: "Migrations, Diversity, Integration, and Public Governance in Europe and Beyond"